I started writing this blog entry, regarding a disabled school teacher dragged out of her vehicle and forced to the ground at a Marfa, TX checkpoint in 2015, shortly after first hearing about it. Unfortunately, I let the story get away from me by sitting on it for too long as I tried doing research on several related issues and waiting for more information regarding the incident to come to light. To be frank, I forgot about it after a while and didn’t come across it again until just recently while dusting off the website & prepping for new content. Despite the age of the incident however, I think it’s an important story to highlight because it shows several things that are so very wrong with interior suspicionless roadblocks in America. 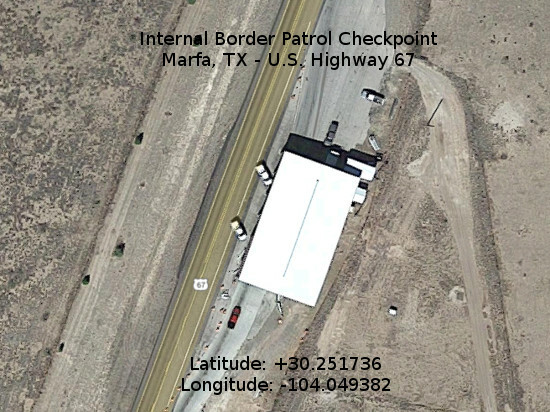 In this particular story, Customs & Border Protection agents illegally detained, physically assaulted and searched a disabled school teacher in Marfa, TX after falsely claiming that a drug dog alerted to illegal narcotics in her vehicle. 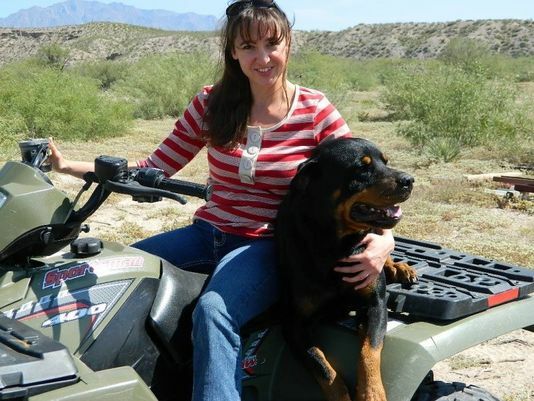 In admitting that their dog had alerted to prescription painkillers instead of illegal narcotics, they made it abundantly clear why the use of dogs at suspicionless interior roadblocks in this capacity is essentially illegal. You see SCOTUS has specifically ruled that drug interdiction roadblocks and general law enforcement roadblocks are illegal. The court has also ruled that certain types of immigration roadblocks can be lawful however, if they are limited in scope, minimally intrusive, setup along nexus points for border traffic within a reasonable distance of the border and that any further detention or searching after the initial immigration-related questions is based on consent or probable cause (see U.S. V Martinez-Fuerte). What’s even more important than this however is how the court has ruled on sniffs and alerts from drug-sniffing dogs. Specifically, SCOTUS has indicated that normally a dog sniff isn’t considered a search because the ONLY thing a drug dog sniff will reveal is illegal contraband. Since nobody has a legitimate privacy interest in illegal contraband according to the court, a dog sniff can be conducted absent consent or probable cause during a traffic stop as long as no additional time is added to the detention due to the use of the dog. Official conduct that does not “compromise any legitimate interest in privacy” is not a search subject to the Fourth Amendment. Jacobsen, 466 U. S., at 123. We have held that any interest in possessing contraband cannot be deemed “legitimate,” and thus, governmental conduct that only reveals the possession of contraband “compromises no legitimate privacy interest.” Ibid. This is because the expectation “that certain facts will not come to the attention of the authorities” is not the same as an interest in “privacy that society is prepared to consider reasonable.” Id., at 122 (punctuation omitted). In United States v. Place, 462 U. S. 696 (1983), we treated a canine sniff by a well-trained narcotics-detection dog as “sui generis” because it “discloses only the presence or absence of narcotics, a contraband item.” Id., at 707; see also Indianapolis v. Edmond, 531 U. S. 32, 40 (2000). Respondent likewise concedes that “drug sniffs are designed, and if properly conducted are generally likely, to reveal only the presence of contraband.” Brief for Respondent 17. Although respondent argues that the error rates, particularly the existence of false positives, call into question the premise that drug-detection dogs alert only to contraband, the record contains no evidence or findings that support his argument. Moreover, respondent does not suggest that an erroneous alert, in and of itself, reveals any legitimate private information, and, in this case, the trial judge found that the dog sniff was sufficiently reliable to establish probable cause to conduct a full-blown search of the trunk. Keep that in mind the next time you approach a suspicionless checkpoint with your recently filled prescription medicine sitting next to you in your vehicle. Visitors to the Big Bend Sector, formerly known as Marfa Sector, often describe it as "big country." Whether in the north where large farms surround small Texas towns or the rugged and vast area near the Rio Grande River, this is a great place to be. And I am honored to serve with the men and women of the United States Border Patrol assigned to the Big Bend Sector. They are dedicated and loyal professionals who every day go to work with the safety and security of the American people in mind. I am also proud to serve with our neighbors throughout the Sector. Be they a fellow law enforcement officer, a classroom teacher or a youth baseball coach, I appreciate their efforts to improve the quality of life in our communities. I invite you to visit us if you have the opportunity. I can assure you that we will continue to do what we must as America's "first line of defense." Community Feedback:  We strive to provide quality service to our customers. If we have not lived up to this commitment, we would like to know. If we have met or exceeded your expectations, please let us know that as well. To comment on the services provided by this office, please write to the Sector Chief Patrol Agent. If you feel you were mistreated by a Border Patrol employee or wish to make a complaint of misconduct by a Border Patrol employee, you may write to the Chief Patrol Agent.